Last week, I did one of the most thrilling things that was completely and utterly outside of my comfort zone. I spent majority of the afternoon 40 feet above the ground climbing to and from trees. Let me start by saying that I really do not like heights. So, you might be wondering right about now why I would ever do this! Well, I'm always up for an adventure and let me tell you, I am so so so glad that I decided to Go Ape. Ok, let's talk about specifics. There are 6 sites throughout the Go Ape area of Shelby Farms. Each site starts with a ladder where you climb up to a platform in a tree. From there, you go through a series of obstacles until you get to a zip line that takes you across the lake and back to the ground. This was the first time I'd ever zip lined or done anything quite like this and it was a thrill. Like I mentioned earlier, I am not the biggest fan of heights (like really not at all) but once I decided to just trust the harness, I stopped shaking so much and had a blast. This is definitely something you should put on your list of things to do in Memphis. 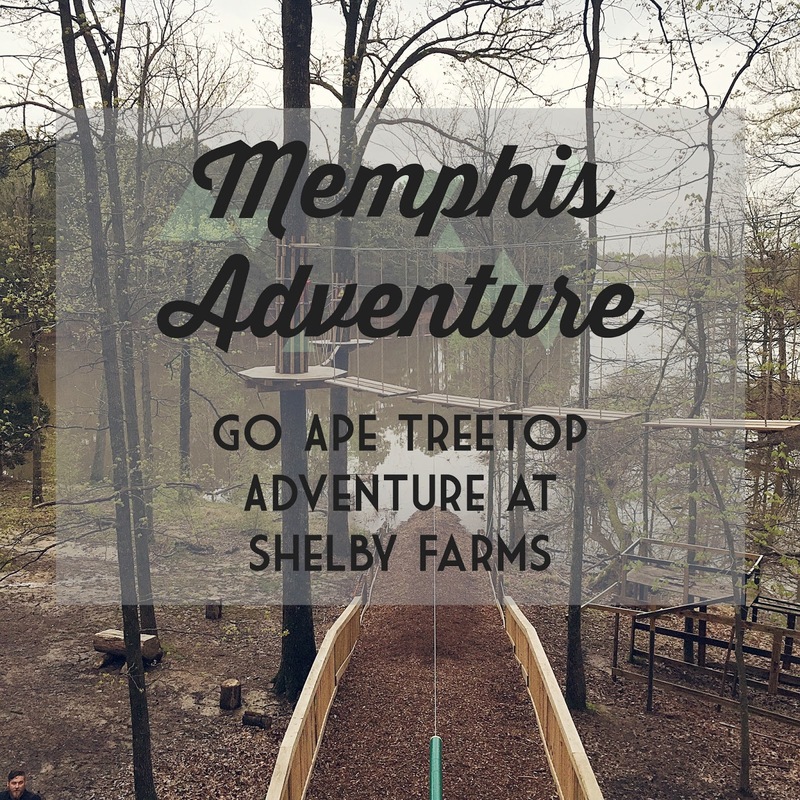 So, tell those friends of yours who claim that there's nothing to do in Memphis to Go Ape! They won't be disappointed. PS. Use code SPRING for 10% off until the end of May! Oh man I'd love to try this! So cool. Reminds me of when I went ziplining! Girl! You are so brave. I am deathly afraid of heights and every time I decide I'm just going to do something to get over the fear it back fires. This looks so fun though! If I'm ever in Memphis I may just have to try it.